Using page turns to show the passage of time is probably the usage that everybody is familiar with. The story progresses as you turn the page, and with each page turn some time has elapsed. 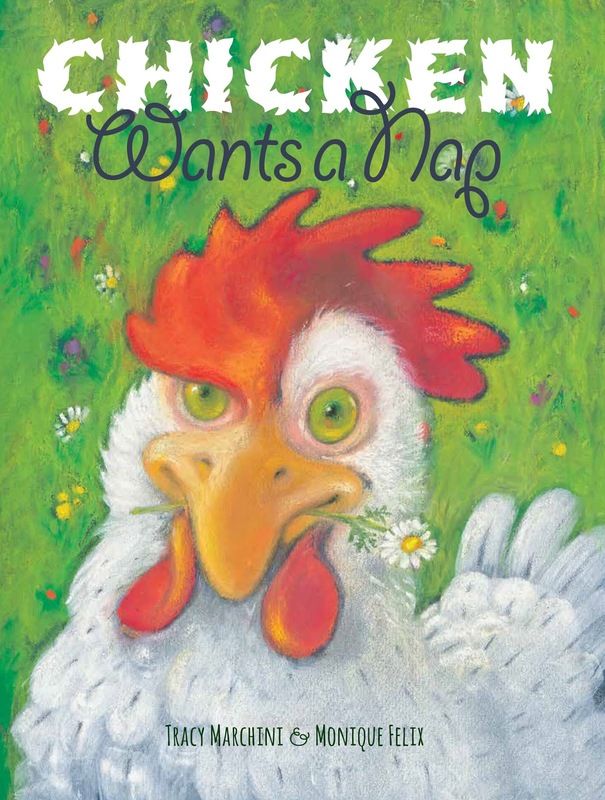 In a book like Chicken Wants a Nap, illustrated by Monique Felix (The Creative Company, 2017), only a few minutes may have elapsed between each page turn. But a page turn can also represent the passage of whole seasons, as we’ve seen in a number of picture books that quickly take us through Fall, Spring, Summer and Winter, or through years – as we’ve seen in a number of nonfiction biographies. In every picture book, a page turn brings us forward in time – be it by a second or by a decade. 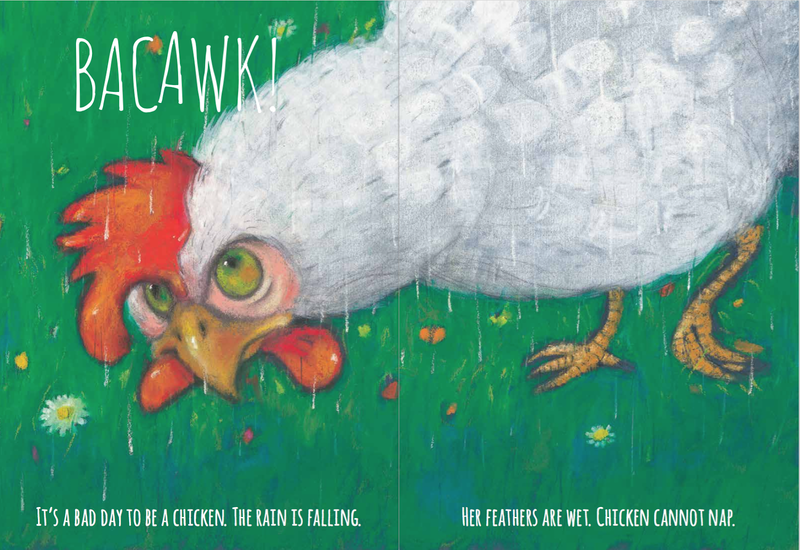 In my own picture book, Chicken Wants a Nap, the page turns are vital for creating humor in the story. 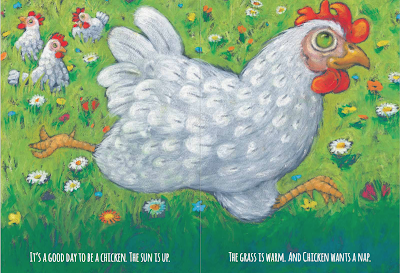 On the first spread, we’re introduced to Chicken and her primary goal – getting a nap. Page turns can also bring the humor in escalation – particularly when you’re working in the traditional picture book structure of three tries and fails until a success. With each attempt, there should always be an escalation. So if a character wants to build a sandcastle, they’d start with a shovel, move on to a bucket and then maybe end with a bulldozer. And each escalation would come with a page turn – a pause to sit with the character’s current idea before the surprise on the next page. 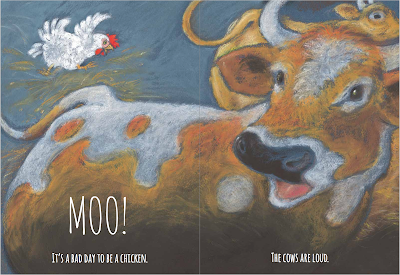 One of my favorite spreads in Chicken Wants a Nap is the one where Chicken is interrupted by the cow. In the art, Monique Felix has Chicken on the left side of the page looking oh-so-annoyed, and the cow has its head turned towards her. In this way, the artwork puts a “pause” on turning the page, and those two work in tandem with the text to help dictate the pace of the story. When I’m writing my own work or editing a client’s picture book, I like to think of page turns as a “beat” of their own. When I submit picture book manuscripts, I don’t include spread numbers, because I know that the publisher and/or illustrator will work those out on their own. As an agent, I’m always on the hunt for more humorous picture books! I love humor that plays with juxtaposition of text and art, or a clever/witty reversal of expectations. And – of course – manuscripts that can make excellent use of a page turn! 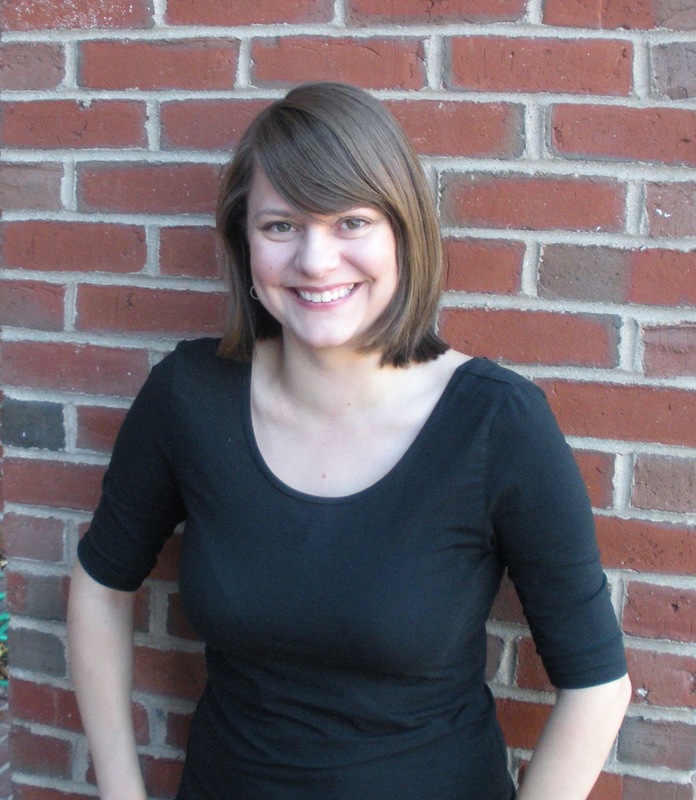 Tracy Marchini is a Literary Agent at BookEnds Literary, where she represents both debut and award-winning authors and illustrators of fiction and non-fiction for children and teens. 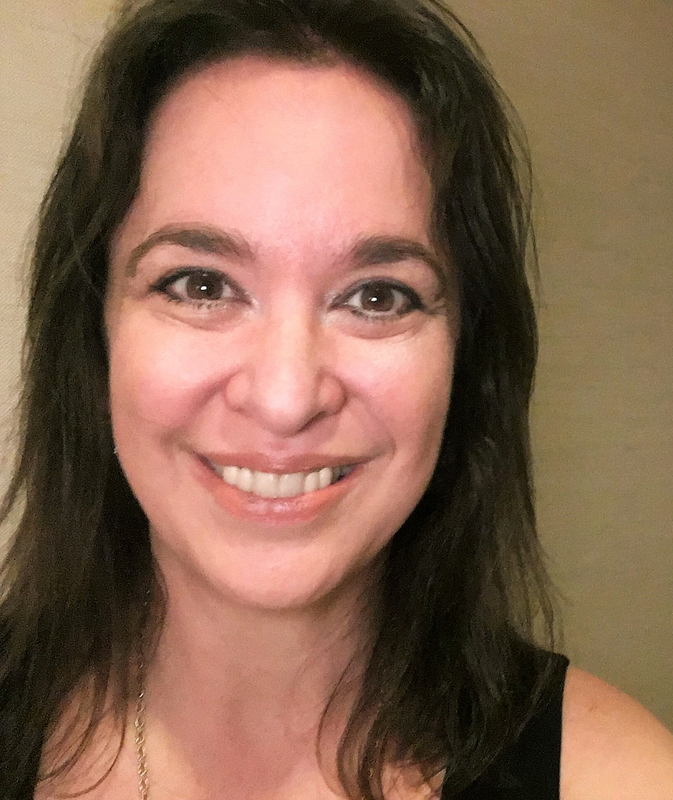 To get a sense of what she’s looking for, you can follow her Twitter #MSWL, see her announced client books, and read her submission guidelines. As an author, her debut picture book, Chicken Wants a Nap, was called “A surprising gem” in a starred review from Kirkus Reviews. She’s been accepted for publication in Highlights Magazine and has won grants from the Highlights Foundation, the Puffin Foundation and La Muse Writer’s Retreat in Southern France. She holds an M.F.A in Writing for Children from Simmons College and a B.A. in English, concentration in Rhetoric. Thanks for this excellent post! It's very helpful. Author Chat with Swati Teerdhala (The Tiger At Midnight), Plus Giveaway! Passing the Mic to Shea Diamond, Speaking For "Americans For the Equality Act"
Who Won the Presidential Election? Ask the House. 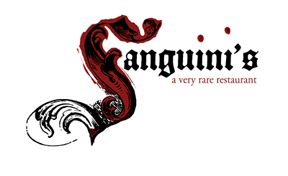 April Fools Hijinx, TLA, Free Stuff, Oh My!